....AND IT SEEMS, THAT THE STREET IS BETTING AGAINST THE YEN. 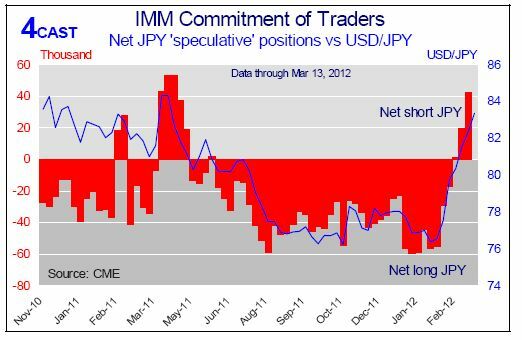 SHORT YEN POSITION INCREASED AGAIN. FISCAL YEAR END COMES CLOSER AND PROBABLY ITS THE TRIGGER FOR A CORRECTION EVEN IF BOJ IS HAD STARTED THE X ROUND OF QE.